Hope you are enjoying the holiday season thus far! Not to sound cliché, but where did 2018 go! Time flies, right? 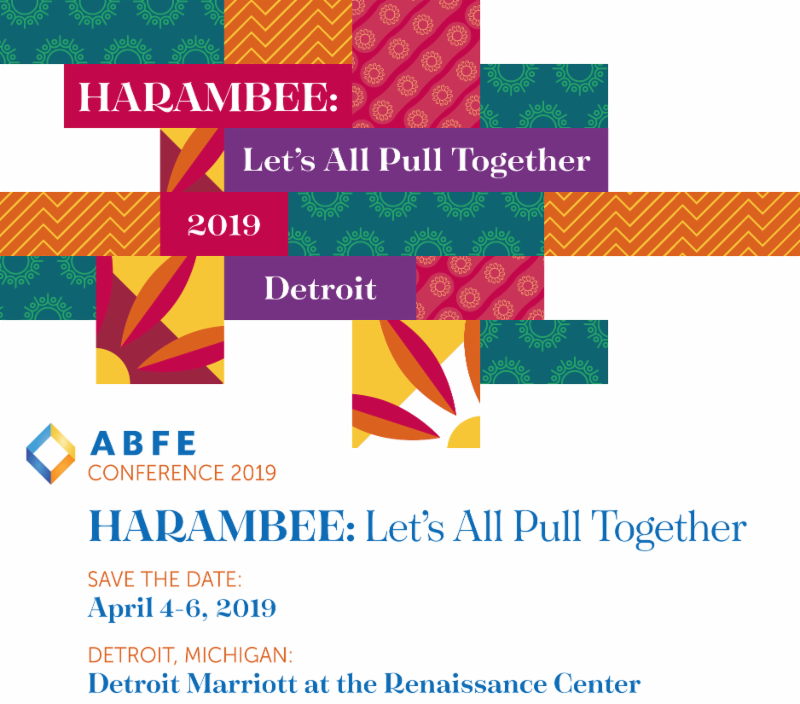 Last month, we announced some exciting news: our 2019 annual conference , themed “ HARAMBEE: LET’S ALL PULL TOGETHER ,” will take place April 4 - 6, 2019 in Detroit, MI, at the Detroit Marriott Renaissance Center. In the coming days, we will be sharing registration and sponsorship information, as well as a call for sessions. 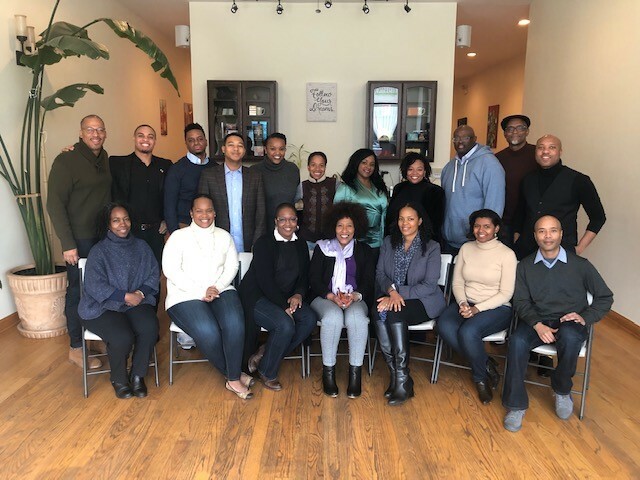 This month, we also wrapped up our Connecting Leaders Fellowship Program (CLFP) Leadership Summit in Chicago. 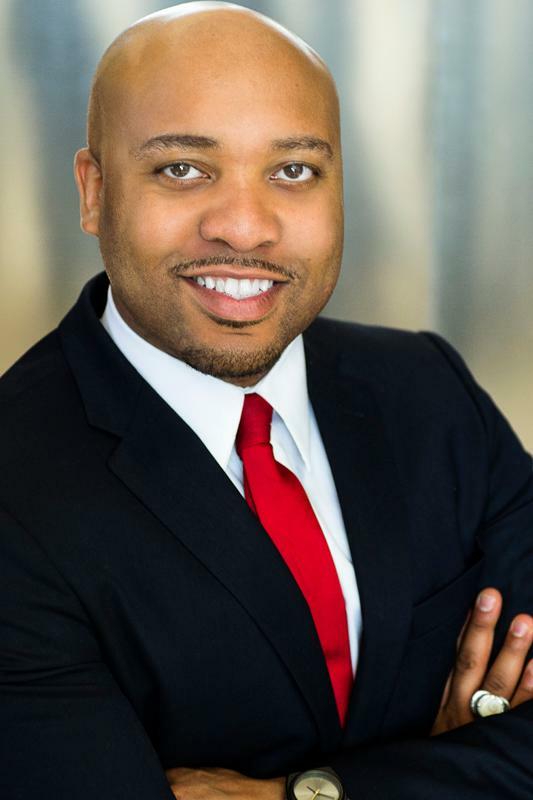 Special thanks to our Programs team, Edward Jones and Tekecha Morgan , for organizing the week’s sessions and activities! 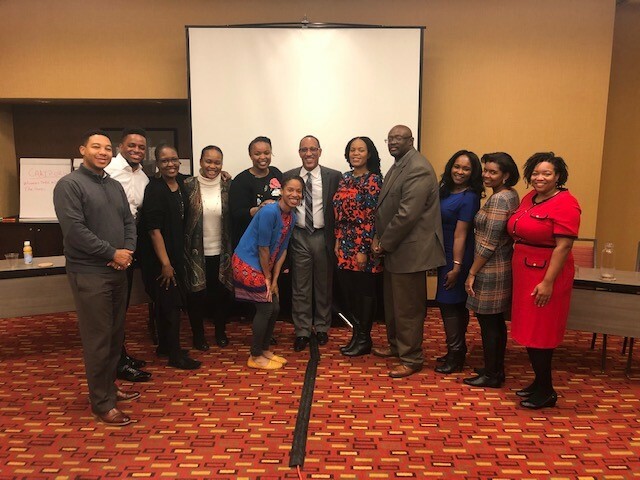 Our President and CEO, Susan Taylor Batten , was also 'on the road' this month with various speaking engagements including the Southeastern Council on Foundations' (SECF) 49th Annual Meeting in Louisville, KY; and the Horizon Foundations' Racial Equity Summit . ..to name a couple. And a thank you to all who continue to support ABFE: our Members, donors and friends. Our #GivingTuesday message highlighted that we’re in this together and more importantly, we can’t do this critical work without you! If you’d like to consider making a gift to ABFE, click here for more details. We look forward to seeing you in April! Stay tuned for more announcements. 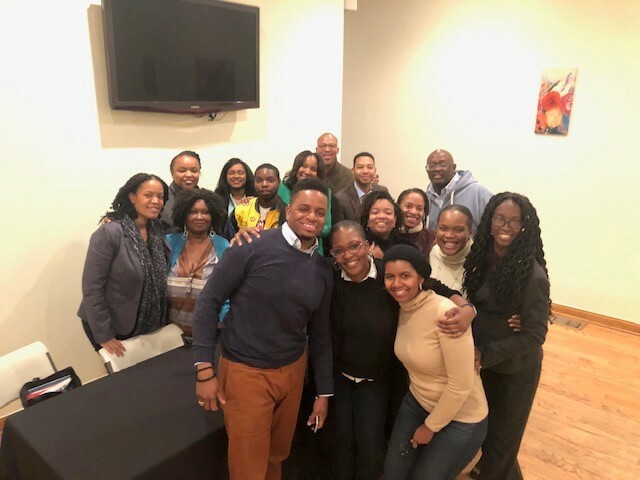 On November 11 – 16th, our 2018 CLFP Fellows convened in Chicago for ABFE's “CLFP Leadership Summit,” which offered various learning sessions, as well as experiential activities centered around Chicago’s Black communities. 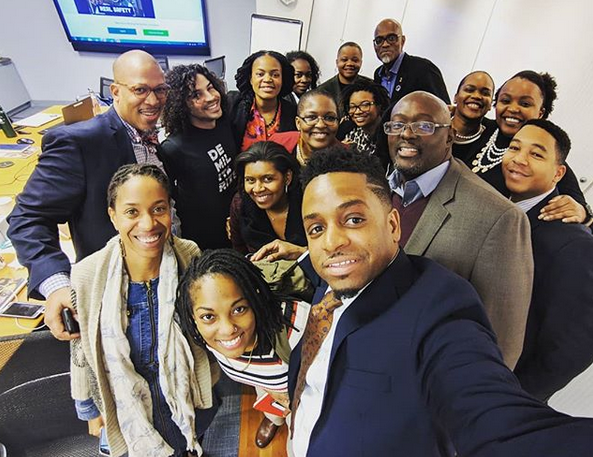 During the week-long agenda, Fellows delved into range of issues including racial and social justice, community engagement, family and children, education reform, equitable grantmaking and management. 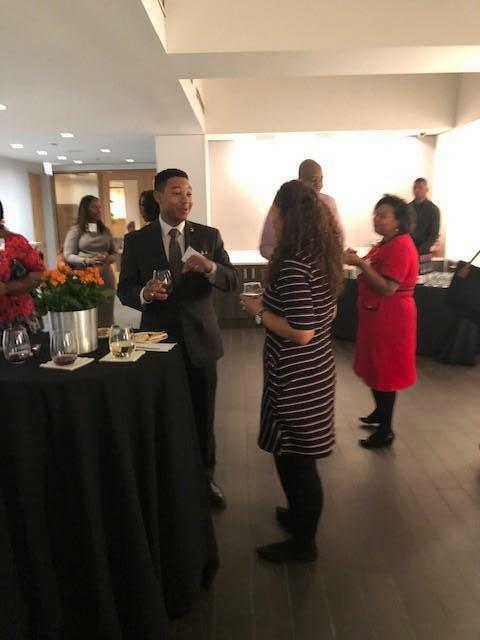 Thank you to all of our hosts ( Polks Bros. Foundation, Grand Victoria, Woods Fund Chicago, MacArthur Foundation and CAAIP ) and presenters who helped make this year's CLFP Leadership Summit a success! Attention ABFE Members...Final Call for Surveys! Have you completed our membership survey? As ABFE continues to grow, we are taking steps to strengthen the impact our work, as well as gain insight into how we can better serve our members. By taking a few minutes to share your thoughts, you are helping improve our membership benefits, services and communications. 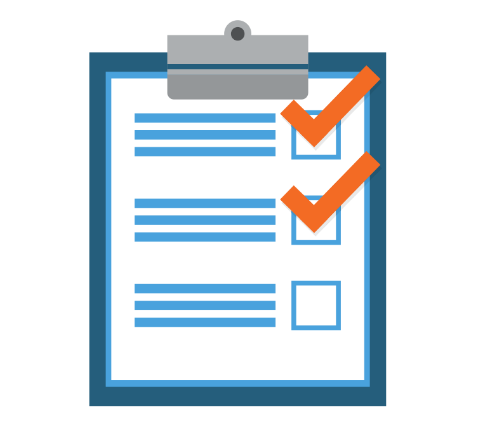 We are also offering one lucky survey taker a chance to win a free registration to our 2019 annual conference taking place April 4 - 6th in Detroit. Final deadline to complete survey is by Friday, November 30th . If you are a current ABFE member, you will receive a direct email via Survey Monkey to the survey (if you did not receive, be sure to check your spam box). *If you have questions about your membership, please contact Evelyn Rivera, director of membership and special events for ABFE, at membership@abfe.org ; or visit our Member Center for more information. This month's featured ABFE Philanthropic Institutional Member is the MacArthur Foundation. 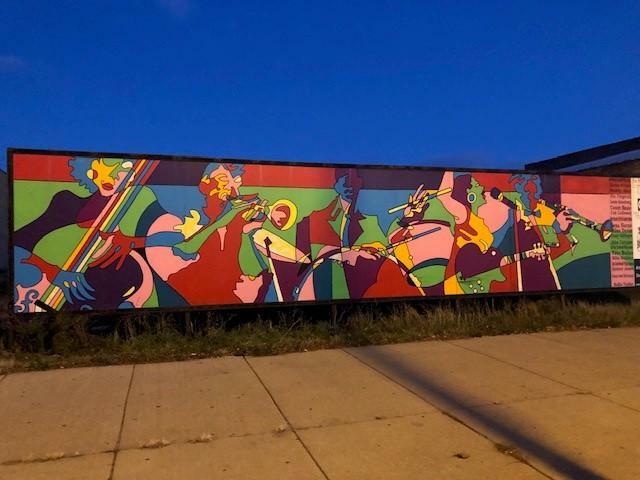 The John D. and Catherine T. MacArthur Foundation supports creative people, effective institutions, and influential networks building a more just, verdant, and peaceful world. MacArthur is placing a few big bets that truly significant progress is possible on some of the world’s most pressing social challenges, including over-incarceration, global climate change, nuclear risk, and significantly increasing financial capital for the social sector. For more information on the MacArthur Foundation, visit MacFound .org . 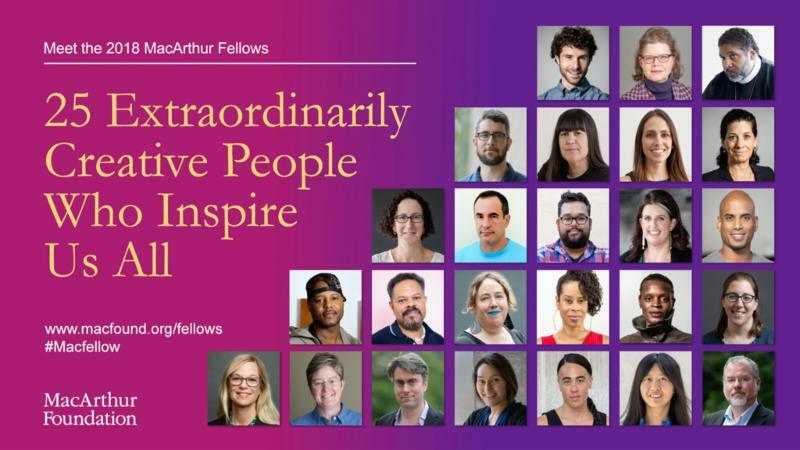 Read more on the 2018 MacArthur Fellows here . African-Americans — despite finding themselves at the bottom rung of the nation’s economic ladder — are collectively among the top ranks of financial contributors to charitable causes.Having meager resources will not stop the Black community from being among the most reliable contributors on Nov. 27, also known this year as Giving Tuesday. Each year, the world sets aside the Tuesday following Black Friday and Cyber Monday to support charitable causes. Slaves brought their value of community with them to America, author and public speaker Valaida Fullwood explained to NewsOne on Monday. She’s the author of “Giving Back,” a book that explores African-American philanthropy. A joint W.K. Kellogg Foundation and Rockefeller Philanthropy study, released in 2012, revealed that African Americans donate a larger share of their income to charities than any other group in the nation. Black churches have been the main recipients of the roughly $11 billion a year that about two-thirds of African-American households donate. Today is National Philanthropy Day — a day to celebrate the generous charitable activities of individuals, companies, and others who advance the greater good. When most people think about philanthropy, they think about individuals writing checks to support their favorite charity, or perhaps about foundations that grant millions of dollars to tackle problems or advance issues. Philanthropy, however, takes many forms. And we often forget that one of the most powerful forms of philanthropy comes when individuals ask a friend or a family member to support a cause on their behalf. This form of philanthropy — called peer-to-peer — is highly effective, since it involves a very personal ask. But it is not often recognized when the press and others examine philanthropy. Blockchain technology and cryptocurrencies like Bitcoin that rely on it are becoming more prevalent in many fields. When you see a technology being used in diverse arenas like regional voting trials, major retail, NASA research projects and refugee ID initiatives, it’s not surprising to find that funders and nonprofits are also getting in on the game. Here, we look at some of the interesting ways blockchains and cryptocurrencies are changing philanthropy, along with some of the challenges and pitfalls. What Are Cryptocurrencies and Blockchains? If you already know, skip ahead! Cryptocurrencies are digital monies secured through encryption, which are typically not controlled by central banks. Blockchain technology is diverse and quickly evolving, and this is just a very general overview. A blockchain is essentially a ledger that has records (like the details of a digital money transaction) locked in groups called blocks. The blockchain is often called a distributed or decentralized system because it keeps copies of these blocks on a spread-out network of computers, rather than on a centralized server. Every computer in the network has a matching copy of all the blocks and is said to be “running the blockchain.” The blocks of records are verified, added to the chain, and secured through cryptography, the encrypting of information. “ Crypto-mining ” — a complex and energy-guzzling computer process that we won’t fully cover here — both verifies the encryption of many blockchains and mints new cryptocurrency. Though not infallible, these systems are considered very difficult to tamper with, because that would require all the connected computers in the global blockchain network to be compromised at the same time. While blockchains can be now designed for many purposes and programmed for applications in almost any field, they are often used for secure, traceable record keeping and quick peer-to-peer virtual currency transactions. Many nonprofits now accept cryptocurrencies like Bitcoin or Ethereum, including the United Way, Red Cross, and Save the Children. All three receive digital monies through a Bitcoin payment processor called BitPay.